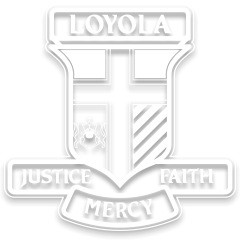 Loyola, as a Catholic co-educational College in the Ignatian tradition, seeks the education of the whole person and strives to ensure that each student achieves his or her unique potential. We aspire to develop articulate, adaptable, discerning and confident young men and women of conscience committed to living the values of Jesus Christ in a global community. As a community we recognise that this is best achieved in a welcoming and collaborative environment committed to Justice, Mercy and Faith.